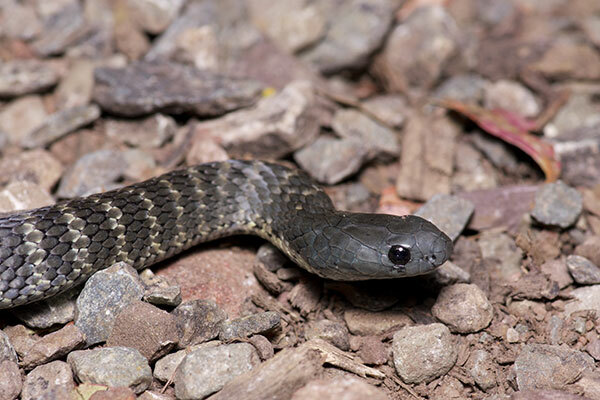 The Tiger Snake is widely known and widely feared in Australia, and not without good reason: it has been responsible for a large proportion of snakebite deaths in the country. This is no doubt due to the fact that it is common in the most populated parts of the continent, including the major cities of Sydney, Melbourne, and Perth. 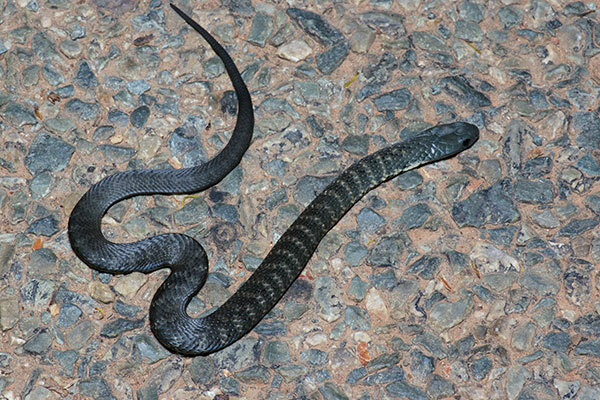 The Tiger Snakes in the Flinders Ranges are significantly smaller than the snakes in the more well-known populations on the coast. This one that I found crossing the road at night was in addition very young and thus really small, no more than a foot long or so. When I was photographing it I didn't know what kind of snake it was, but since this was Australia, land of venomous snakes, I was smart enough not to take any chances. 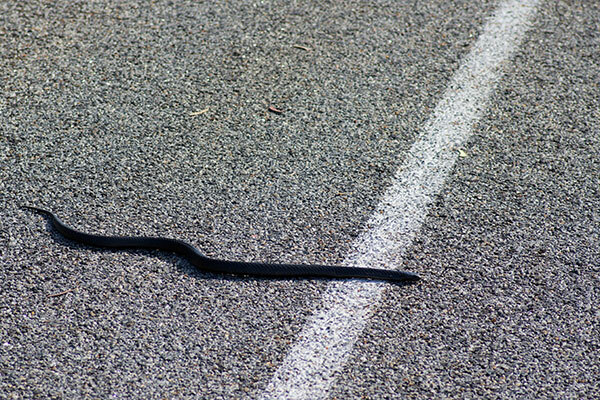 This basic black snake was just minding its own business crossing the road when I had to go upset it by trying to take its picture. It wanted me to be certain that I remembered that it is related to cobras. 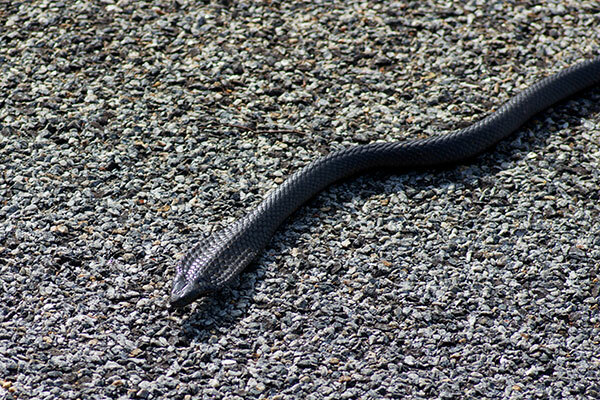 I had originally identified this snake as a Peninsula Brown Snake (Pseudonaja infra macula). A couple of people more knowledgeable than I in their Australian elapid identification skills have since corrected me -- thanks to them!